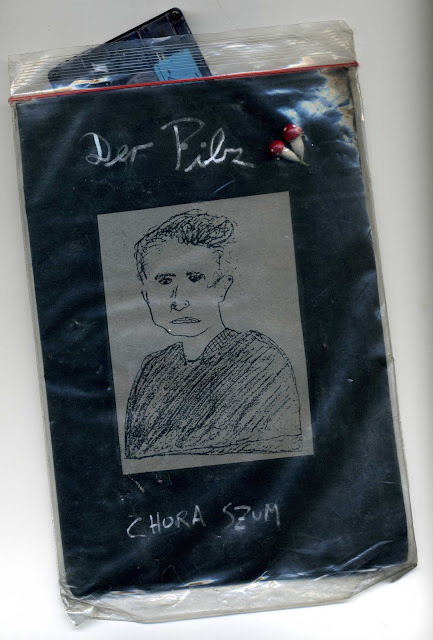 Der Pilz is another project by the very active artist : Lutz Pruditsch. Lutz is also the head-master of the astonishing german tape label Trummer Kassetten covered in this blog quite few time now. You will find more info about this label here. In this well crafted tape Lutz offer us 17 nice tracks of drone/noize- ambient,the cover sleeve is a little A5 size booklet with graphix works and few info. Come in A5-sized cover in a plastic bag.